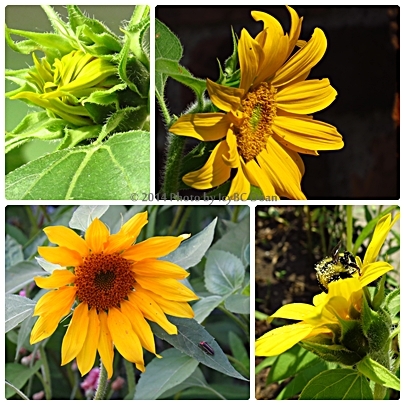 You have quite a show of Sunflowers.Such wonderful flowers at this time of year. 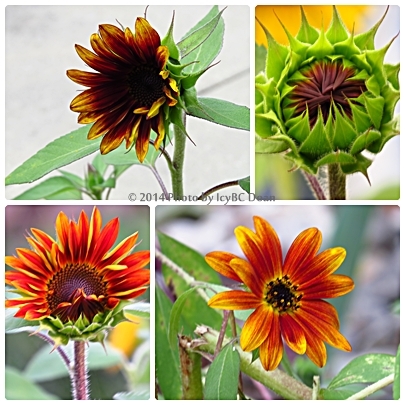 Beautiful collages of nature's beauties ~ Wonderful floral photography for OWT! The collages are done so well. Love that bud in a coronet of spikes. They are really beautiful! I know you are enjoying them. Zoom in to the flower, I can see what I have not seen before. I did this last month, but have yet to show you all. A bit odd, but a welcome site for sure! Very nice photos also.